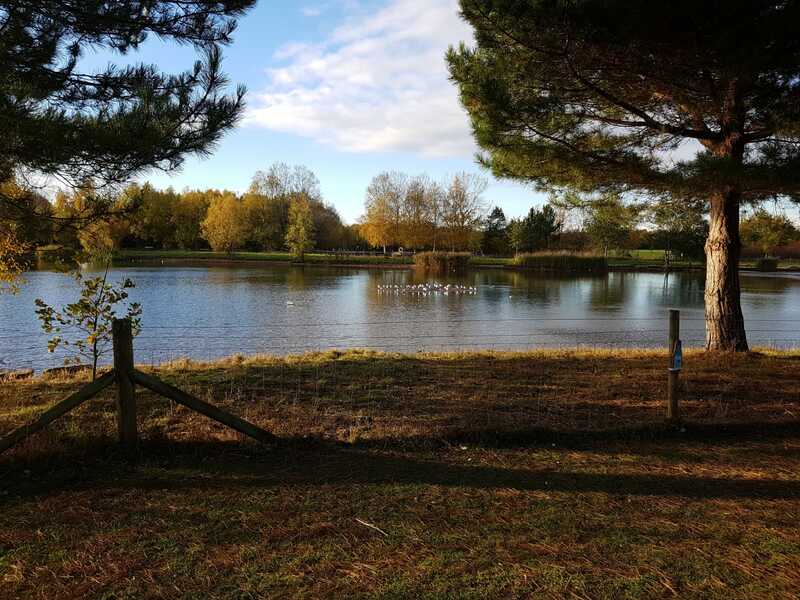 I’ve just completed my very first Park Run at Rushcliffe Country Park in Nottinghamshire … and I’m buzzing! I’m not new to running; in fact, I used to run 5k on a regular basis, but due to injuries, and life in general, I stopped a few years ago. Then around 18 months ago, I joined David Lloyd gym as I was keen to start playing squash again – a sport I’ve played on and off over the years. However, injuries prevailed again, and I had to stop. I took up Body Pump classes instead, which I loved. I also wanted the flexibility to attend other classes, and still enjoy social activities without feeling guilty about not fully utilising facilities that I’d committed myself to financially. I have a yoga teacher whose classes I love and have been attending weekly for the last 4+ years. I’ve also just tried out Hotpod yoga – not quite the Hatha yoga I love, but it makes a change and it’s lovely and toasty! As for running, I love the convenience of being able to leave the house, go for a 5k run, come home, shower and have it all done within an hour! It also provides lots of fresh air, which is good for the mind, body and soul. 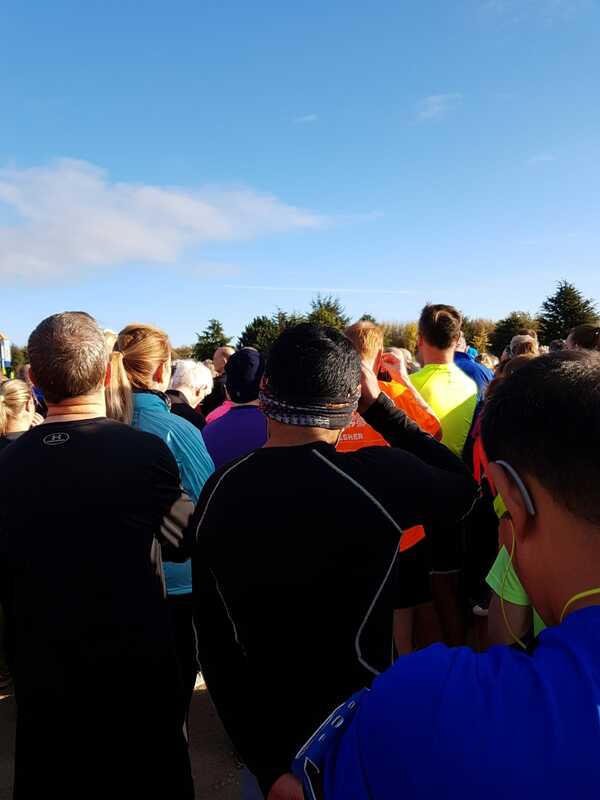 Joining the local Park Run has been in my mind for some time, and I have gradually worked towards galvanising myself into action in bite-sized chunks. From thinking about it, looking at the website, registering online (to get a barcode which records your time each time you run), waiting for a day that was right for me, to actually doing my first run… and that day was today. I made sure I was organised and up in time, having had a lovely bowl of porridge an hour before leaving the house to give myself some slow-release energy. I couldn’t have picked a more beautiful autumn morning if I’d tried. Despite it being November, the skies were blue, the sun was out and the autumnal colours around the park were stunning. It was really well organised, and the atmosphere was vibrant with people arriving to run, walk, or run with children, buggies and/or dogs. I did it! I loved it – and now I’m hooked! I finished 336 out of 410 – so many people! My time was 35:08 – double the time of the fastest runners but hey, I’ve made a start and I’ve got plenty to go at to improve each time I run. And the best thing was the runner’s high – that completely energised feeling from running in the fresh air – igniting my endorphins and giving me a sense of achievement to kick-start my Saturday! Use other people to mentor and motivate you – avoiding the negativity associated with comparison. We are all different – that is what makes us unique!